Rejection is all too familiar for high school seniors. 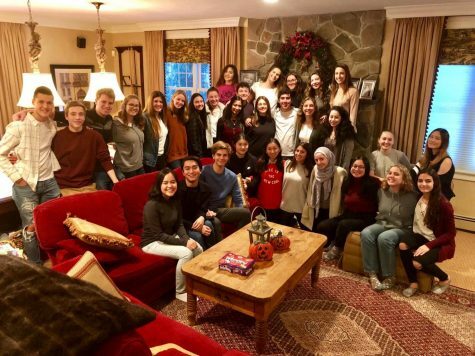 They spend the entire year pondering their chances of getting into this university or that college, fighting off the thought that they might not be admitted. From the college essay to extracurriculars, there is incredible pressure on individualism and exceeding peers. 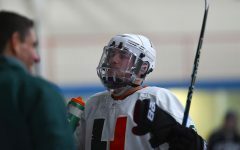 Senior Kent Berlin has been feeling the effect of this atmosphere, especially since he has begun receiving college decisions. 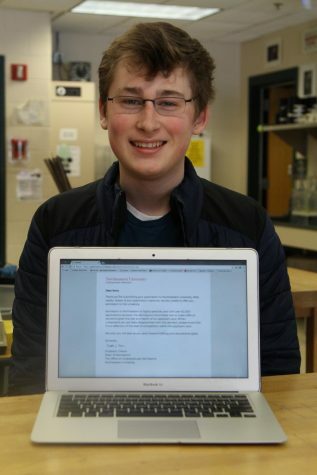 Senior Kent Berlin sits with his rejection letter from Northeastern University. 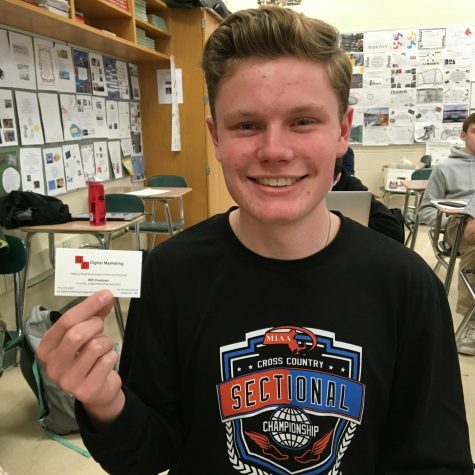 “I’m wondering if I’m good enough for [some schools] because I see other kids, and maybe I’m not up to scale or up to their standard,” Berlin said. 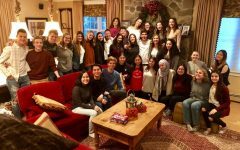 Some of the most elite students find themselves applying and getting into Ivy Leagues and other prestigious institutions. Seeing others succeed while being rejected creates a cycle of self-consciousness and worry. It is easy to feel alone in rejection and to keep it hidden from peers to be safe from embarrassment. 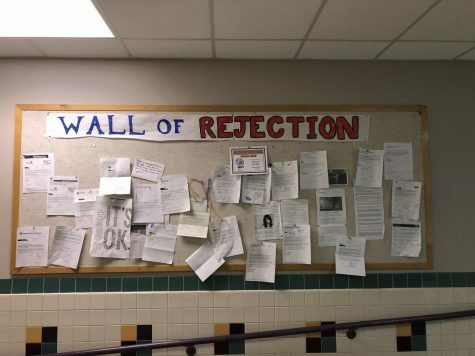 Rejection Walls, also sarcastically dubbed the “Wall of Shame,” which are designated areas where seniors can hang up the letters of rejection they’ve received. 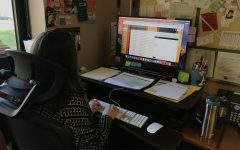 Students can keep the letters anonymous by crossing out their names, creating an amorphous community out of the letters, keep their names, or opt out of the tradition altogether. 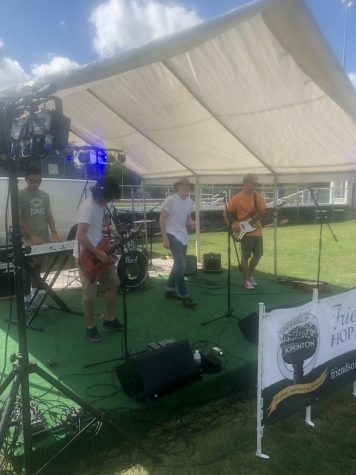 This movement is said to promote community bonding amongst students and unite them in the common lesson that everyone faces rejection in some form this year. “When you’re applying to a school that takes one out of every 25 kids that apply, there’s 24 people walking around with [rejection] letters. 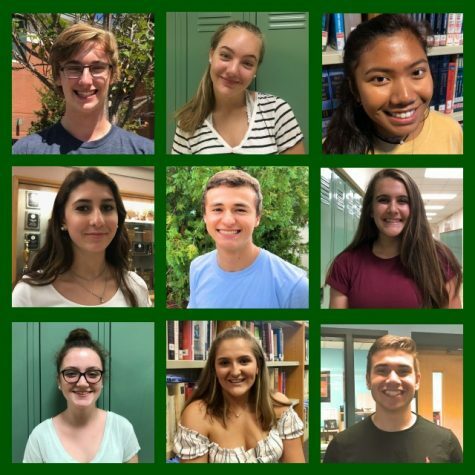 I guess [the wall] sort of normalizes it,” guidance chair Mrs. Greco said. 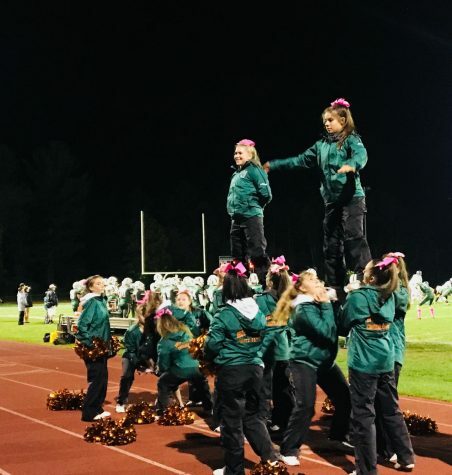 By normalizing rejection, Mrs. Greco added, students then may feel more comfortable taking risks applying to schools that are more difficult to get into. One thing she sees often are students that apply to safety and target schools, yet no reach schools. 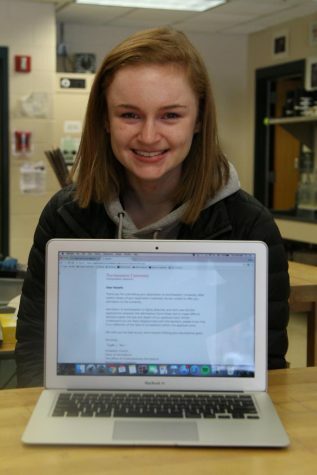 Senior Natalie White with her rejection letter from Northeastern University. Yet, by introducing this understanding of college rejections early by their senior year students can feel safer in the fact that they are not the only ones who will get denied, and that they may as well try if they are supported by a community that recognizes the importance of risk-taking. 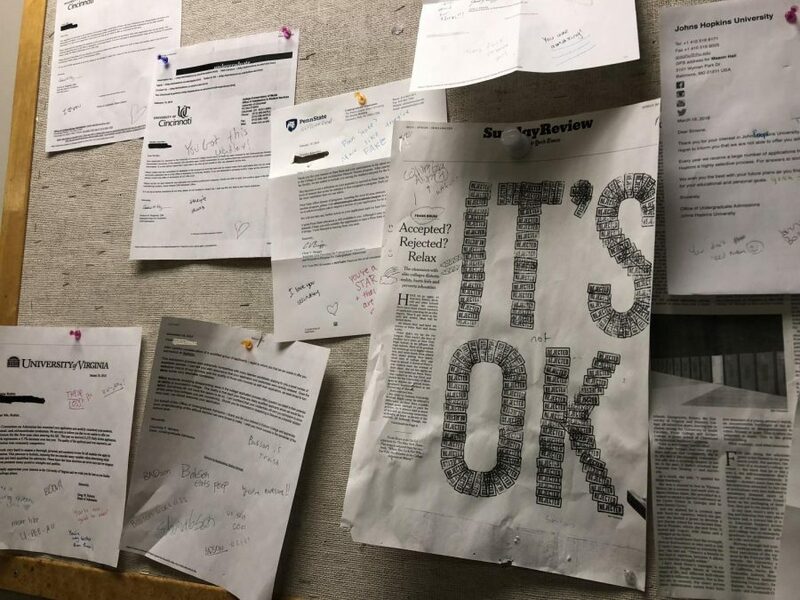 For some students, denial may just be part of life, not affecting enough to warrant the overt, intentional rebellion that the rejection wall signifies. 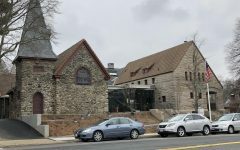 “It’s nice, but I probably wouldn’t participate in it… I don’t think [a rejection] would affect me that much where I feel like I’d need to post it on a wall,” Natalie White said. 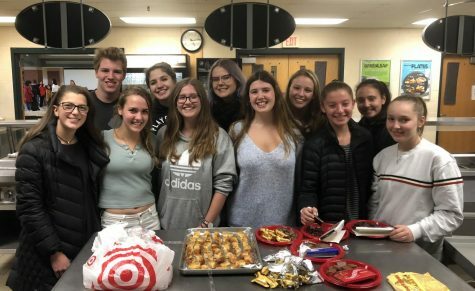 If students are going to be truly engaged in this activity, if they want to not only spread this lesson to their peers but also teach underclassmen from their experiences, it has to be a student-driven movement. If students believe in it, they can make it happen. That is a problem occurring at Newton South High School. They have had a rejection wall since 2003. For almost 15 years, students have been using this tool to try and unite the class. 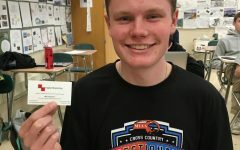 But that’s not how it has worked out recently, according to Newton South’s College and Career Center Counselor, Kathleen Sabet. She went on to say that the enthusiasm for the wall has dwindled, now only with a small margin of students posting letters on the wall from schools like Harvard. Instead of fulfilling its original purpose, Newton South’s wall has become its own right of passage. It’s only for the students that have taken on the beast of academic elitism.